The full Gautrain service has been operational for just under a year. Since the opening of Park Station in Johannesburg, there has been a dramatic increase in the demand for the Gautrain and its bus services. Numerous venues located near the Gautrain station and on its bus routes are benefitting from the convenience that the Gautrain offers delegates. “Most of the meetings Radisson Blu Hotel Sandton hosts are attended by many internationals and guests from outside Johannesburg. Since the Gautrain is currently a popular mode of transport from the airport into Sandton, our location of only 500 m away from the station is an advantage; it makes the hotel and conferencing venues easily accessible for conference delegates. The hotel also provides a complimentary shuttle that transports guests to and from the station,” says Lauren Berkowitz director of sales and marketing, Radisson Blu Hotel Sandton. The average weekday passenger trips on the train has increased from 26 000 at the beginning of April 2012 to 42 000 at the end of March 2013. 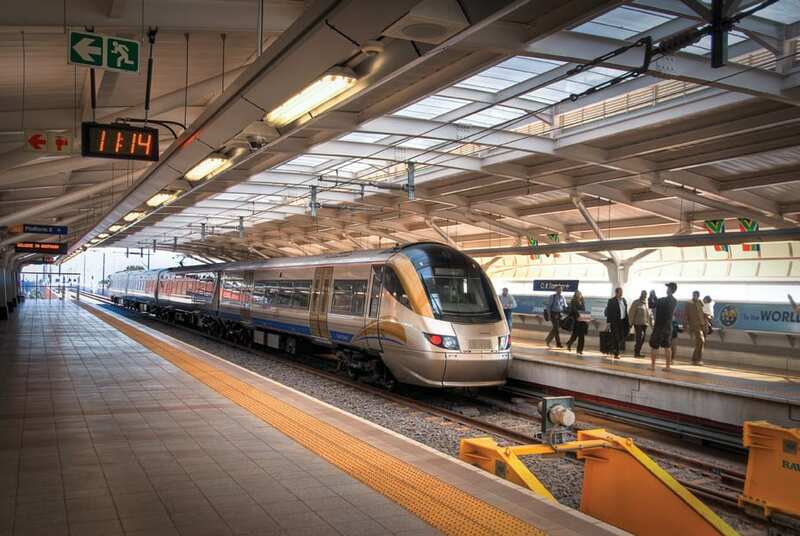 In February and March 2013, the total number of monthly passengers on the Gautrain system exceeded one million. “With traffic and petrol costs at an all-time high and the threat of e-tolls, being able to use the Gautrain takes the stress and hassle out of getting to/from your conference or meeting venue. It is now easy to travel from outside areas into Braamfontein,” says Debbie Prinsloo, marketing manager, Protea Hotel Parktonian All Suite. The purpose of the Gautrain bus service is to support the train ridership and to improve the total trip quality and experience of the commuters. The average daily bus trips has doubled from 9 000 per day in April 2012 to 18 000 a day in March 2013. Since March 2013, 26 bus routes are in operation, with the addition of the UNISA/Groenkloof and Emperors Palace routes. Meetings tip: Event organisers are able to plan programmes around the bus routes – delegates do not need to drive anywhere.